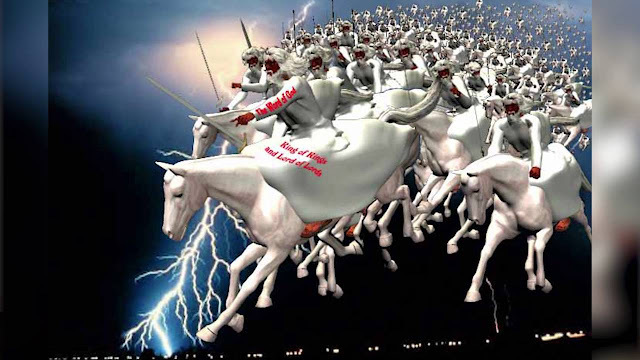 10 But this I commanded them, saying, 12 Let none of you imagine evil in your hearts against his neighbour, and love no false oath. 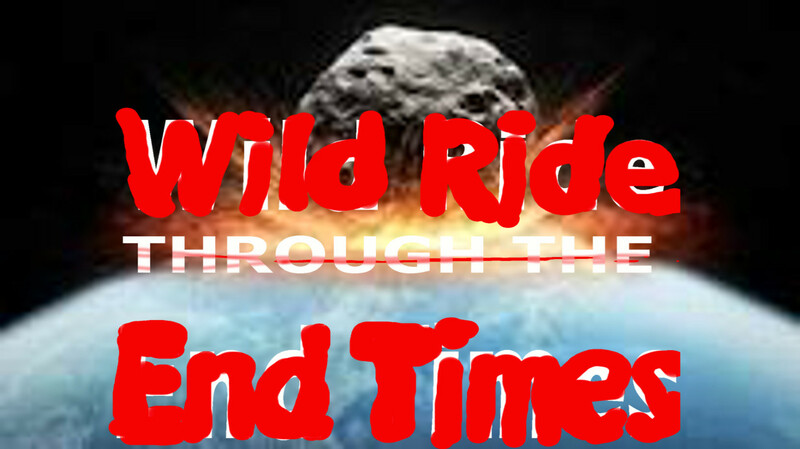 These are just some of the common beliefs about the End Times Eschatology and the Millennium. Pastor Cinque and The Reverend William Barber Non-Violence VS Violence. 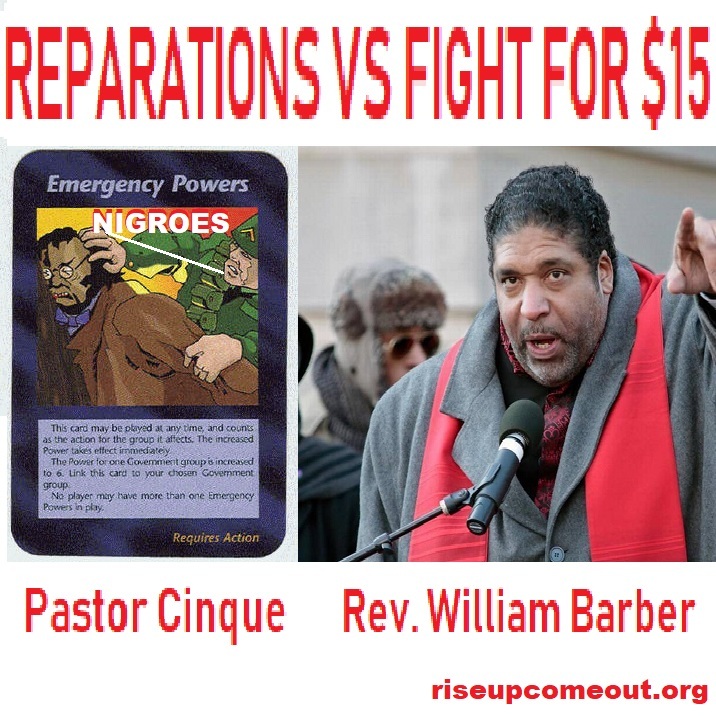 Peter and Paul over Reparations VS Fight for $15. PASTOR CINQUE HAS BEEN SAYING FOR YEARS, A FOOD AND ECONOMIC CRISIS WILL BE SO BAD THAT DURING THE MORMON (who believes everybody should get "welfare") ADMINISTRATION THAT EVERYBODY WILL GET FOOD STAMPS AND FREE ANYWHERE YOU WANT TO LIVE AT HOUSING. 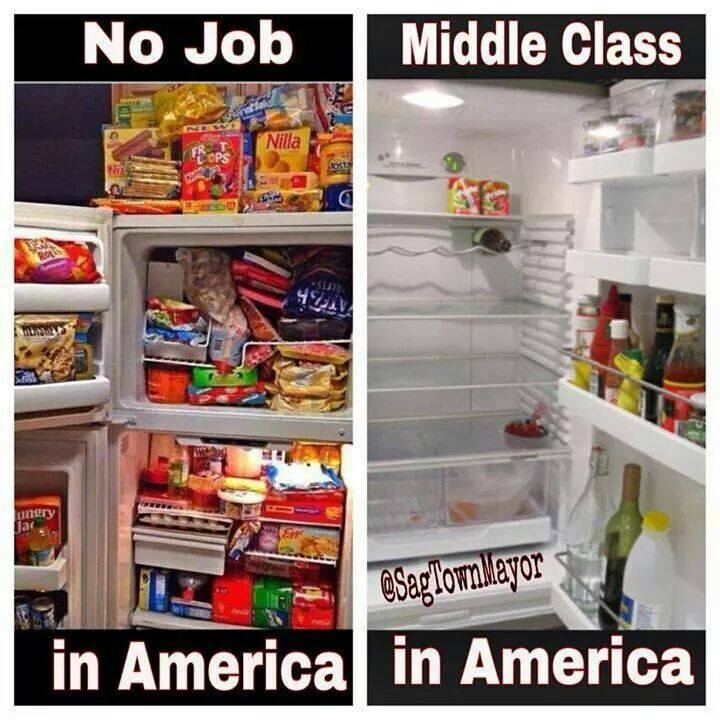 HOWEVER, THAT WILL BE PRETTY MUCH THE ONLY WELFARE AVAILABLE. THE DAYS OF ALL FORMS OF SOCIAL SECURITY OASDI ARE OVER. VETERAN'S BENEFITS ARE DONE. Silent Weapons for Quiet Wars are some of these devices. Pastor Cinque protests the closing down of Good Samaritan Hospital and an ALDI Supermarket in mainly Black Ohio neighborhood. The Pastor talks about how Gentrification is a form of Sustainable Development. - How the NAACP, Premier Health Partners, and others are all collaborated with the Sustainable Development Agenda. 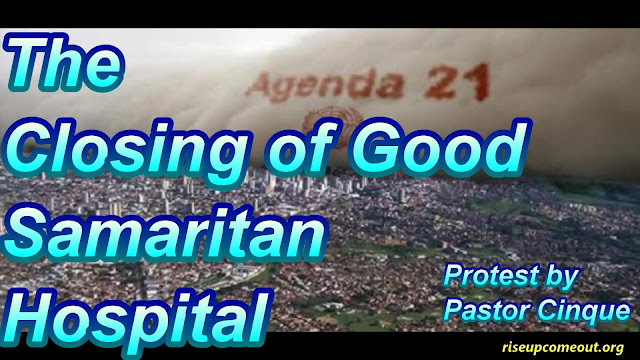 - How that Agenda helped to influence the closing down of Good Samaritan Hospital- a Level 1 Trauma Center with a helipad in a neighborhood with lots of gun shot victims, old people, and environmentally attenuated persons. Good Sam was "The Black Hospital." - UN Agenda 21- ICLEI and MVRPC. - The Water Politics of Mass Regional Gentrification- the purposeful depopulation of the Midwest so corporations can sell all of the potable drinking water to people around the world. - Food Deserts and the closing down of he ALDI supremarket. * NOTE some strong language.